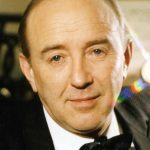 Vladimir Krajnev is an outstanding pianist and professor of piano. As a young child, his gift for music was discovered and developed by his teachers at the Kharkov music school. He continued his studies at the Central music school attached to the Tchaikovsky Conservatory in Moscow, and later in the class of the great musician Henrich Neuhaus at the Tchaikovsky Conservatory. He graduated from the Conservatory and did a post-graduate course under the guidance of his late professor’s son, Stanislav Neuhausan, outstanding pianist himself. After winning first prizes at international contests in Lisbon (Portugal), Leeds (England) and especially after his brilliant victory at the IV Tchaikovsky International Contest in Moscow (1970), his career as a pianist began. His performances with famous orchestras, eminent conductors and outstanding soloists all over the world have made Vladimir Krajnev known as one of the great musicians of our time. Teaching music came as a natural continuation of his artistic activities. At present, Vladimir Krajnev is a professor at the Higher School of Music and Theater in Hanover (Germany), where twenty-nine young pianists from Russia and the CIS, France, Germany, China, Korea and other countries study in his class. Many of his students are laureates of prestigious international competitions. For many years Vladimir Krajnev has given a series of concerts called “Vladimir Krajnev Invites” at the Tchaikovsky Conservatory. His students as well as laureates of his competition for young pianists participate in these concerts side by side with outstanding musicians. Vladimir Krajnev has been a member on the jury of many piano competitions, In 2002, he chaired the piano jury of the XII Tchaikovsky International Competition in Moscow.